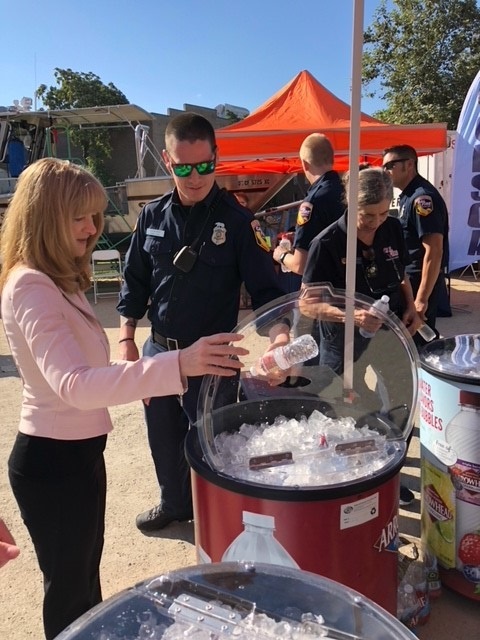 Nestle Waters NA Executive Vice President and Chief Corporate Affairs Officer Tara Carraro hands out bottled water to first responders attending California's Day of Preparedness. 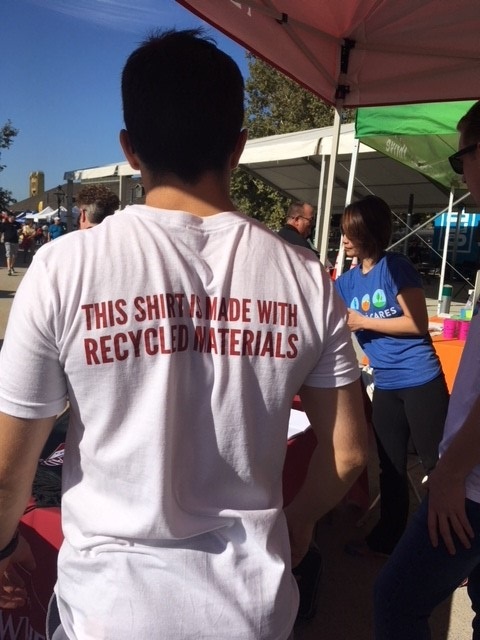 Nestle Waters employees work their booth at the Cal OES event wearing shirts made from recycled materials. The Arrowhead® Brand Mountain Spring Water they were handing out were packaged in bottles made from 50% recycled plastic. 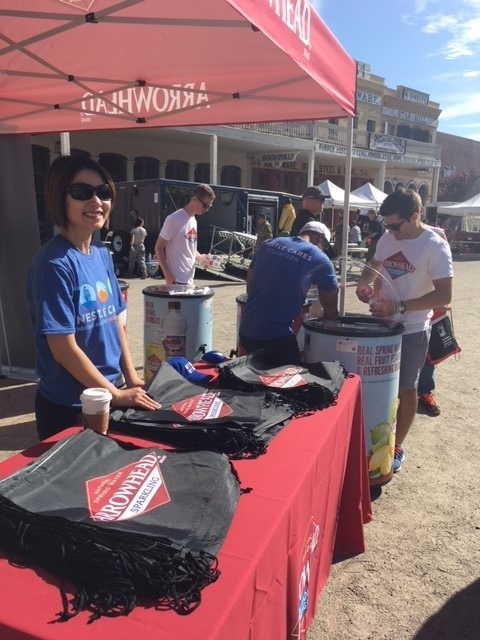 Nestle Waters employees hand out Arrowhead brand water at the Cal OES event.